We can assist you with the task of thorough hot tub cleaning in Mooresville any time your equipment needs attention. If you own a hot tub, it’s important to keep this important investment working well so you can use it to your full benefit. While you may already plan ahead for certain things like making sure the cover is installed correctly and applying the proper safety procedures, there is another important task that should be a priority – regular hot tub cleaning. At Cayman Pool & Spa, we are glad to assist you with the task of thorough hot tub cleaning any time your equipment needs attention. From making sure that the inside is wiped down and sanitized to changing the filter and making sure the chemicals are adjusted correctly, our professionals offer the attention to detail that you truly need. Thorough hot tub cleaning not only makes your hot tub safe for use, but it also makes it more comfortable any time you step in to relax after a long day or spend time with your family in this fun environment. Knowing that you’ve had a professional hot tub cleaning completed can make all the difference when you take off the cover to enjoy your spa. If you aren’t sure of the last time you scheduled hot tub cleaning at your home in Mooresville, North Carolina, or if you would like to find out more about this important service for your equipment, contact us at Cayman Pool & Spa today. 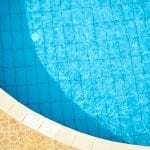 We’ll be happy to assist with your year-round hot tub cleaning and many of your other pool supply needs. At Cayman Pool & Spa, we offer hot tub cleaning services in Mooresville, Concord, Cornelius, Davidson, Harrisburg, Huntersville, Kannapolis, Statesville, Troutman, and the Lake Norman area of North Carolina.